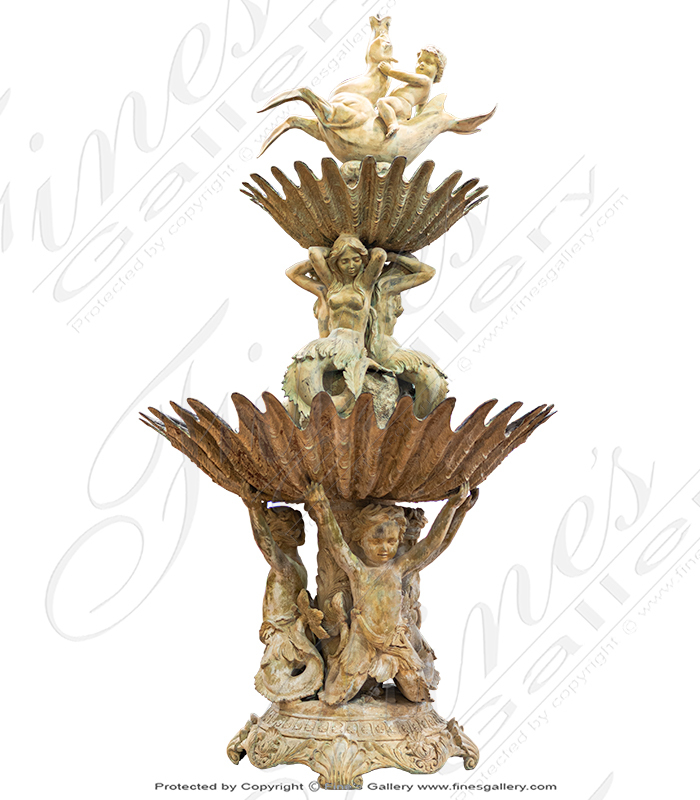 Create an outdoor sanctuary with this elaborate Mythical Sea Fountain, all hand carved from luxurious bronze. Flawless detail and breathtaking design display two unique basins and several magical figurines. Call us today. Yes I would like more information on BF-137.